Heat oven to 350°F. In large bowl, beat softened butter, sugars, vanilla and egg with electric mixer on medium speed or with spoon until light and fluffy. Stir in flour, baking soda and salt (dough will be stiff). 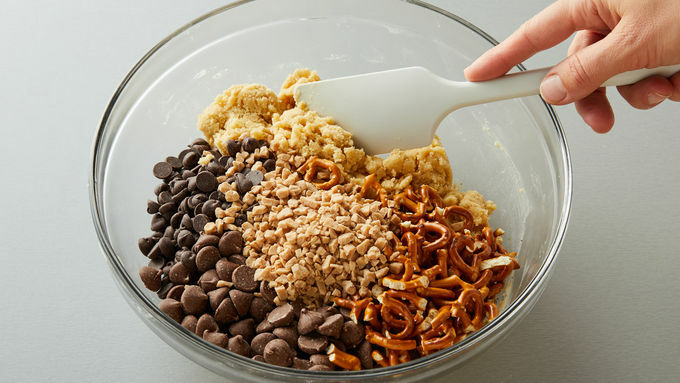 Stir in semisweet and milk chocolate chips, pretzels and toffee bits. 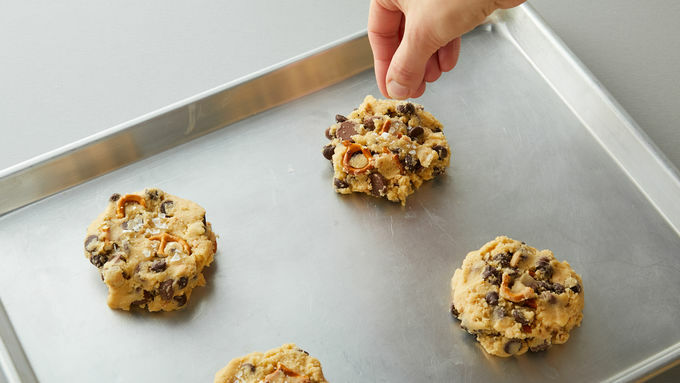 On ungreased large cookie sheets, drop by rounded 1/2 cupfuls of dough 4 inches apart. Flatten slightly. 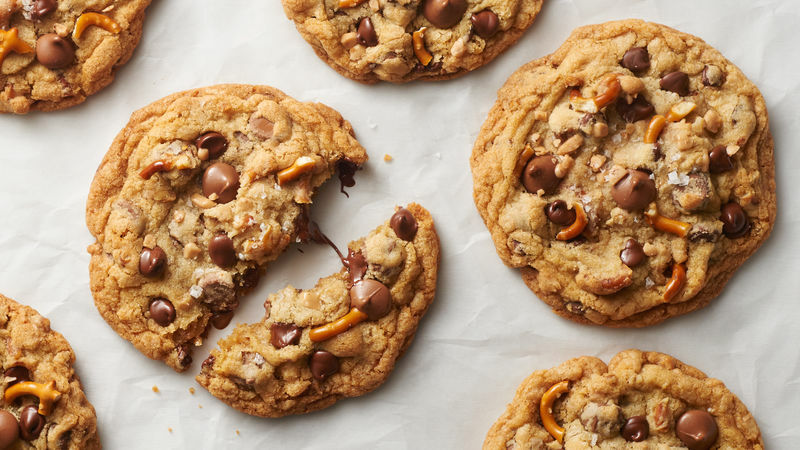 Sprinkle a few salt flakes on top of each cookie. Bake 13 to 16 minutes or until light brown around edges (centers will be soft). Cool 5 minutes; remove from cookie sheet to cooling rack. Cool completely. Caramel bits can be substituted for toffee bits in this recipe. While any pretzel will work in this recipe, pretzels with a waffle pattern, coarsely chopped, give the cookie a fun look. Sprinkling a little flaky sea salt on top of the cookies brings out the chocolate flavor and tones down the sweetness. If you don’t have flaky sea salt, coarse sea salt will work.